Do you enjoy a great steak? 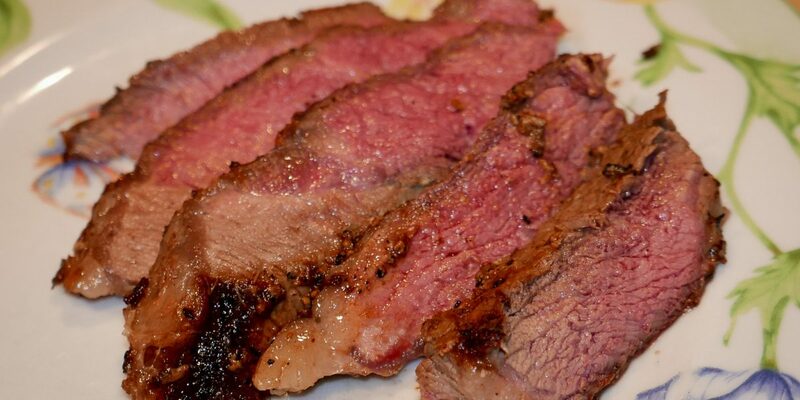 Do you enjoy a great steak, tender and oozing with flavor? 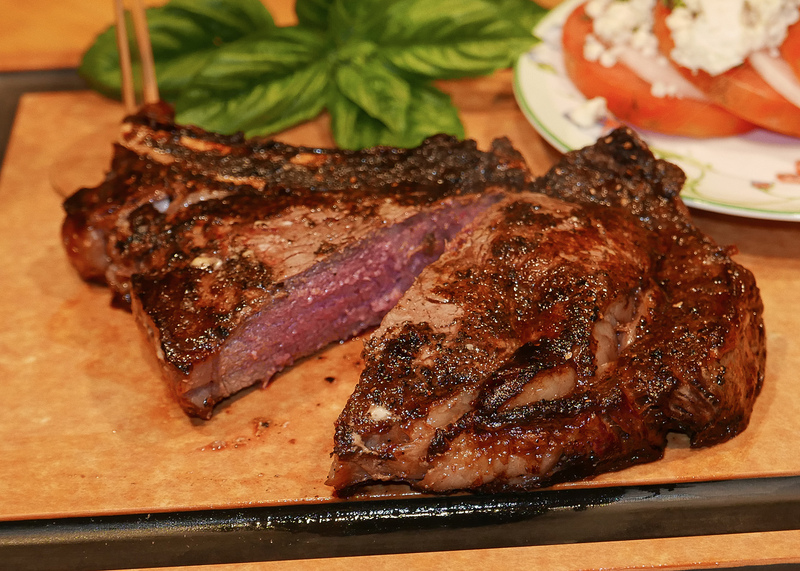 Try the combination of Dos Gauchos Steak Rub and mayonnaise as a steak marinade. Before you accuse me of temporary insanity, here is why you consider this new twist using an iconic French classic condiment. We already know that adding fat results in greater flavor. Adding a fat to a protein has been a steakhouse secret for decades. This new approach just brings the step of adding the fat to the beginning instead of at the end. Perhaps the better way to frame this is to think of this as a wet brine. Adding Dos Gauchos rub to the mayonnaise adds tremendous flavor. Plus, the mayonnaise suspends the spices so they don’t fall off! It also creates a really nice crust and seals in flavor while providing a great char. For our great steak test, we started with a nice, thick rib steak, about one and a half inches thick. To do it right, we made up a fresh mayo, because the difference between a freshly prepared mayo and the processed stuff is enormous (recipe follows). We blended in a generous amount of Dos Gauchos, spread it over the top and sides of the steak, and returned it to the refrigerator for three hours. We chose to use a well-seasoned cast iron pan, but a grill pan would have worked as well. Cast iron allows for a better fond than a non-stick surface will. Fond is French for “base” and commonly refers to the browned bits and caramelized drippings of meat or vegetables that are stuck to the bottom of a pan after sautéing or roasting. It’s often retained as a source of flavor and deglazed with liquid and aromatics like onions and garlic. The fond forms the base for a large number of classic French pan sauces. First we preheated the pan, and got it really hot. 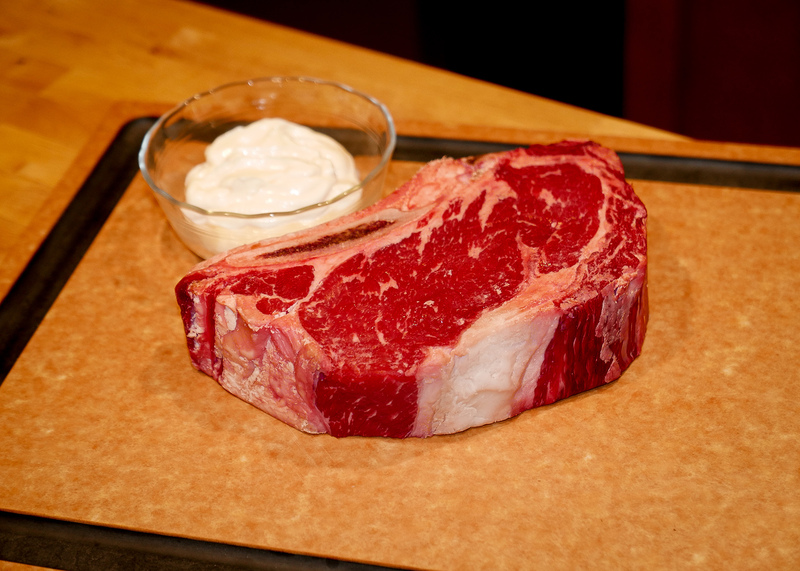 The goal is to introduce a great sear while the mayonnaise renders, and then finish the steak off in a 425°F oven. 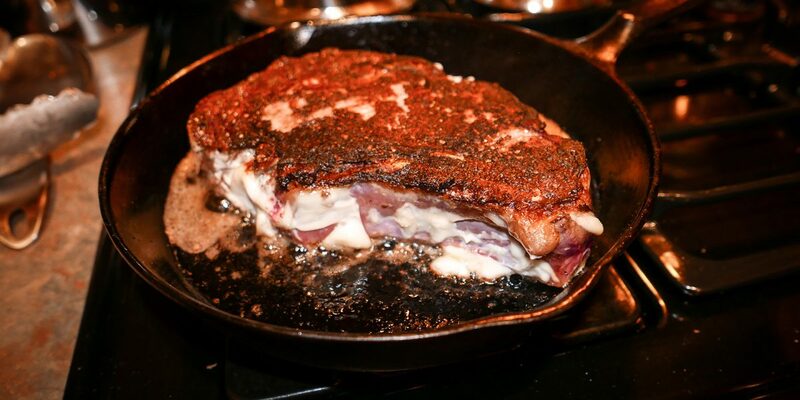 We added the steak to the pan top-side down, so we could add the Dos Gauchos-mayo mixture to the bottom of the steak. After about three to four minutes, we flipped the steak over, continued cooking it on the stove for another two to three minutes, and then moved the pan into the oven. Given the thickness of the steak, it took about fifteen minutes to reach an internal temperature of 145°F degrees, or medium rare, while in the oven. We tented it with foil for five minutes to let the juices settle. When we finally cut into this great steak we found that it was tender and very delicious, with a great crust. 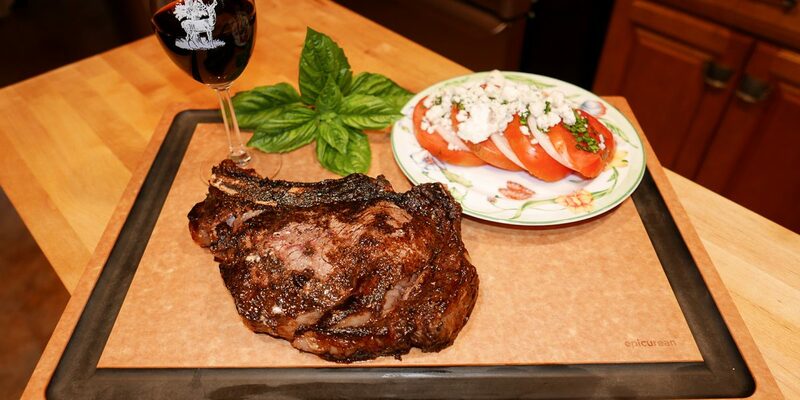 We paired the steak with a tomato and onion salad with bleu cheese dressing, and washed it all down with a hearty Cabernet Sauvignon. It was truly a marvelous dinner. 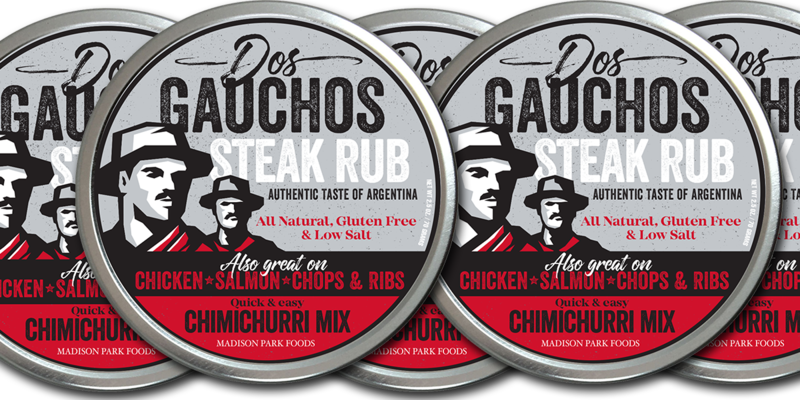 Experimenting with new recipes and cooking concepts requires an open mind, as well as having plenty of Dos Gauchos steak rub on hand at all times! 1. In a measuring cup, combine the grapeseed oil and olive oil. 2. In a large bowl, whisk together the egg yolks and salt for 1 minute. Add the oil a few drops at a time, whisking constantly (adding the oil too fast will prevent the mayonnaise from emulsifying and becoming thick and creamy). 3. Once the mixture is thick and begins to resemble mayonnaise, add the remaining oil in a very slow stream, whisking constantly until the mixture is fully combined and emulsified. 4. Whisk in the lemon juice and hot water. Serve right away or transfer to an airtight container and refrigerate for up to 3 days.